Zenith El Primero in two different styles. Zenith’s new president Jean-Claude Biver is wasting no time in his assault on the luxury watch world. 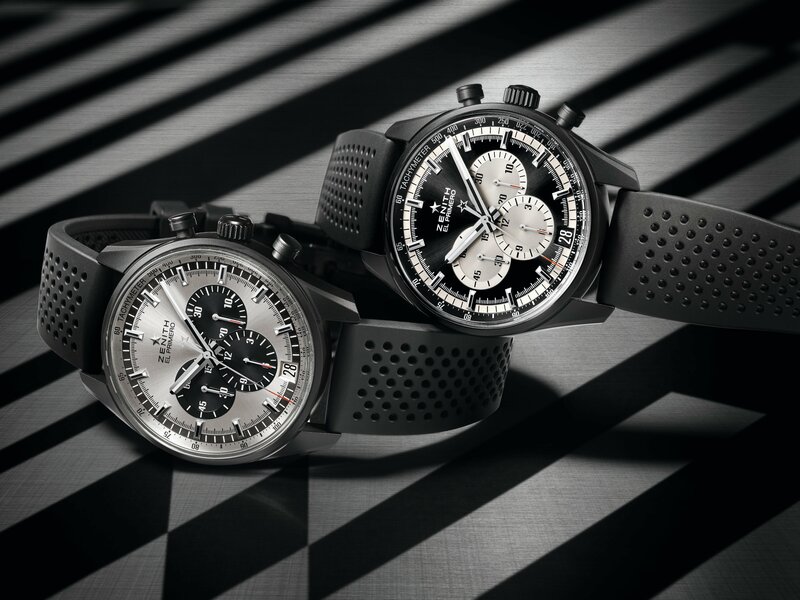 At Geneva the brand unveiled two stunning new versions of its legendary El Primero. The El Primero 36’000 VPH, priced at $8,600, and the Heritage 146, priced at $7,700. That puts them squarely in the bracket of the new Breitling for Bentley Supersports B55 chronograph, which costs $7,860. The 36’000 VPH at 42mm is certainly worth the money. It features an “intense” black ceramicized aluminum case, chiaroscuro three-counter dial available in black or silver, and a sporty perforated rubber rally strap paying homage to the El Primero’s 1969 debut and the subsequent use of its innovative moment in iconic watches like the Rolex Daytona. The Heritage 146, at 38mm, is a more direct homage to the ‘60s with a decidedly retro look thanks to its tropical dial available in brown or blue. 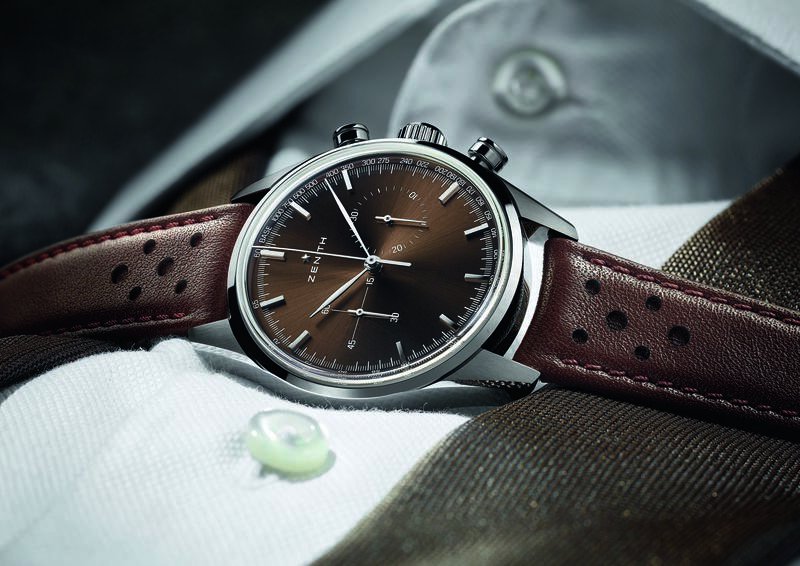 Zenith’s Heritage with a brown dial. The dial of the 36’000 VPH (for Vibrations Per Hour) is set off by counters (subdials) in silver on the black version and black on the silver one. Both have black cases, punctuated by black luminescent facetted hour-markers and hands enhanced with bright red accents. The case houses Zenith’s renowned high-frequency column-wheel El Primero 400B calibre chronograph movement, beating at 5Hz and powering a tenth-of-a- second display, central hours and minutes functions, small seconds, chronograph and date, along with a 50-plus hour power reserve. The domed sapphire crystal, round push-pieces and knurled crown give the 42 mm piece a powerful presence. The sapphire crystal back of the 100m water-resistant case allows the movement to be admired, and it comes on a perforated black rubber strap secured by a titanium and black PVD-coated triple folding clasp. 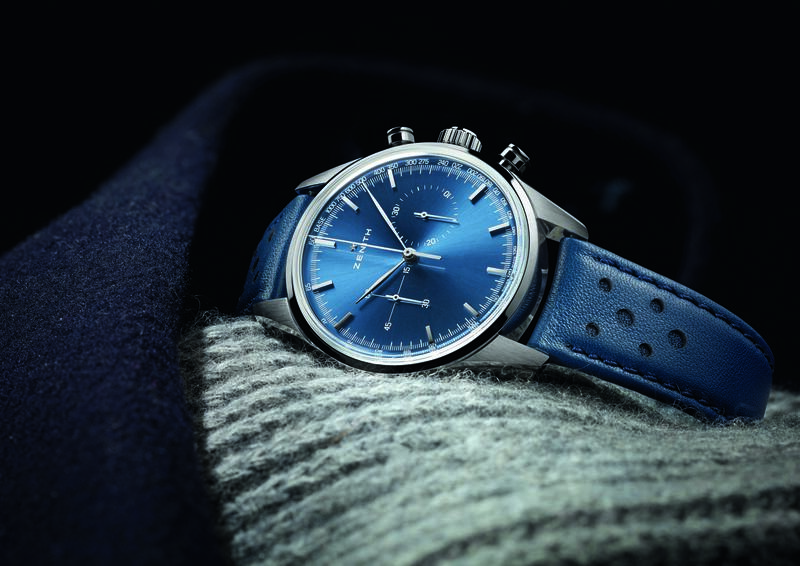 Zenith Heritage with the blue dial is a nice touch to the timepiece. The Heritage 146 is more subtle in nature, and achieves a truly timeless (ahem) look thanks to its classic styling. In fact it owes a lot to the limited edition watch produced with Hodinkee in 2016. It’s a chronograph with a central sweep-seconds hand and 30-minute counter at 3 o’clock. It also has a tachymetric scale, but without a date window which gives the dial sleek appearance. The El Primero Calibre 4069, a 254-part column-wheel chronograph movement is wound by an oscillating weight adorned with “Côtes de Genève“. It runs an extremely accurate tenth-of-a-second display and boasting a 50-plus hour power reserve. The vintage-style steel case is water-resistant to 50 meters and features a fluted crown with two round pushers. The screw-down sapphire crystal caseback has an anti-reflective treatment on both sides. It also features a perforated rally strap for a decidedly racy feel. Mr. Biver is right to be optimistic about Zenith’s future with pieces like these. Zenith’s future looks bright with this move. 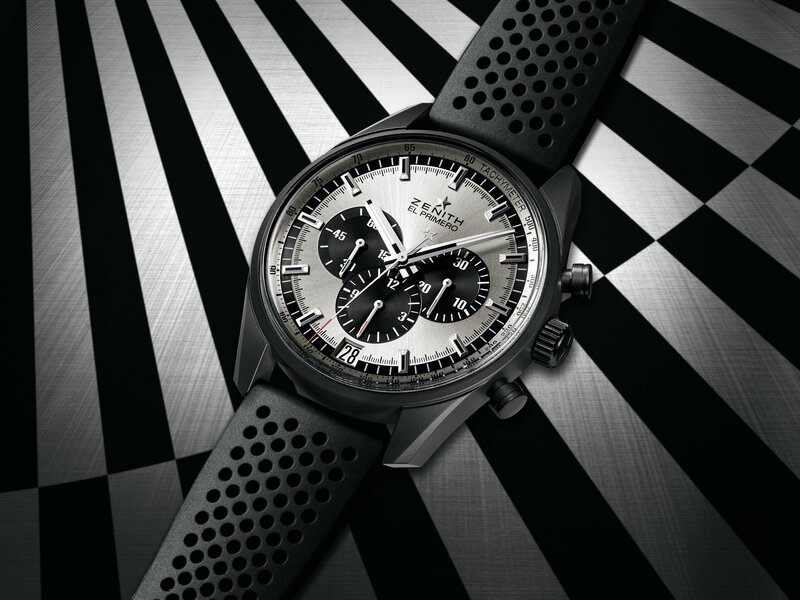 The Zenith El Primero was introduced at Geneva.